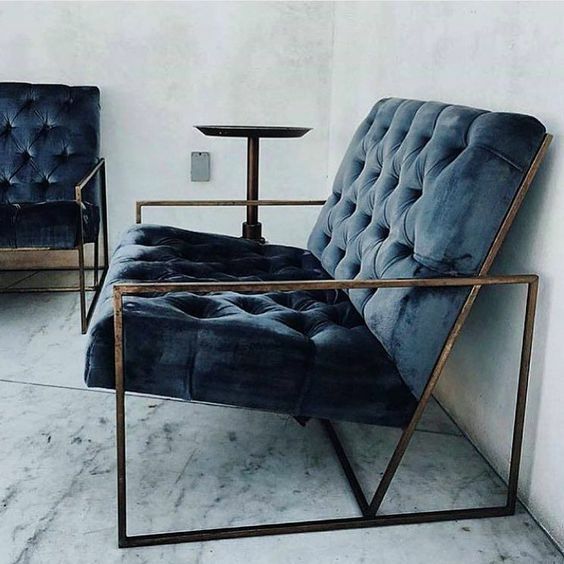 Trend Lookbook: Denim Drift | Ashgate Furniture Co.
One of the biggest trends in the interior world this year, has stripped us back from the bright colours of the Summer Colour of the Year – Greenery – and muted it down to the cool and stormy greys we’ve all loved in the past. 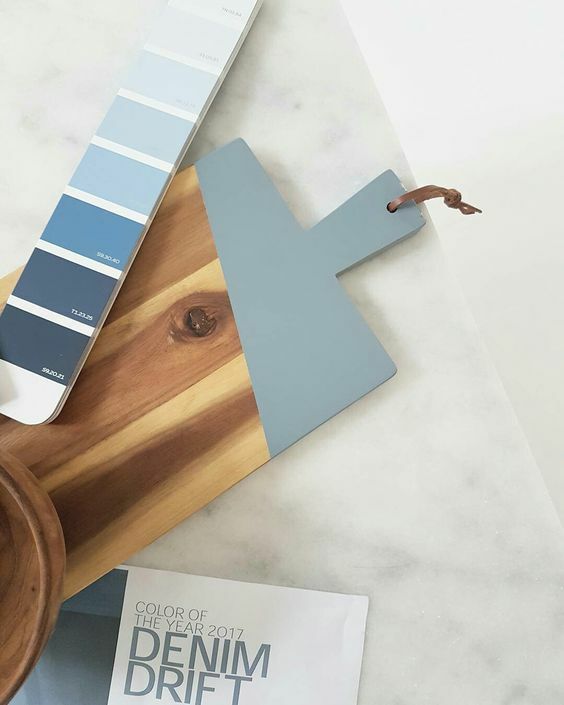 Denim Drift – a blue-ish, grey – has hit the interiors world with a huge bang, and people just can’t get enough. Though you might not have been aware of this particular trend cropping up absolutely everywhere , it’s all around, with a few extra splashes of blue tints to make bring it a little more into the summer style. 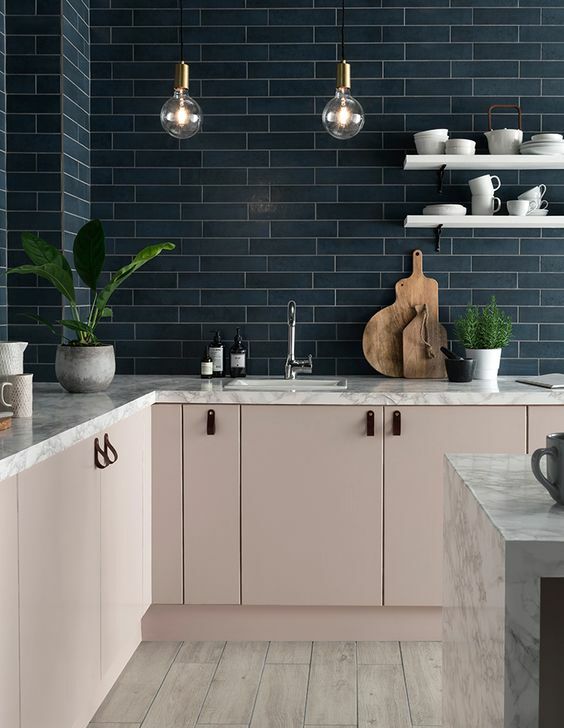 But as we head into the Autumn, where the shades tend to get a little bold – with purple and burnt oranges – Denim Drift is taking things a little more monotone, and creating stormy, coastal colours-capes within the home. It feels a lot more poetic that it sounds… trust us. 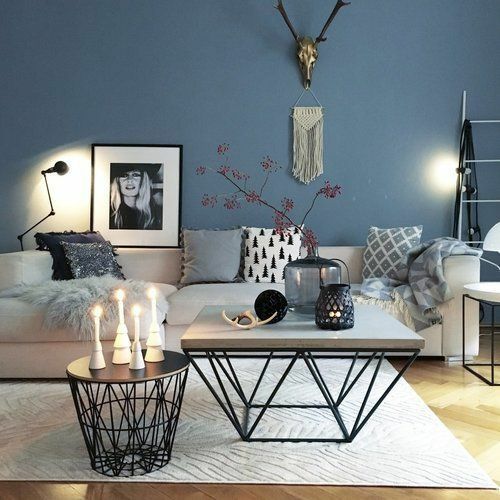 It’s fair to say, that Denim Drift is becoming a great neutral shade, to build upon within the home. Using such a dark shade leaves plenty of options to build colour into the room with interchangeable soft furnishings and accessories. 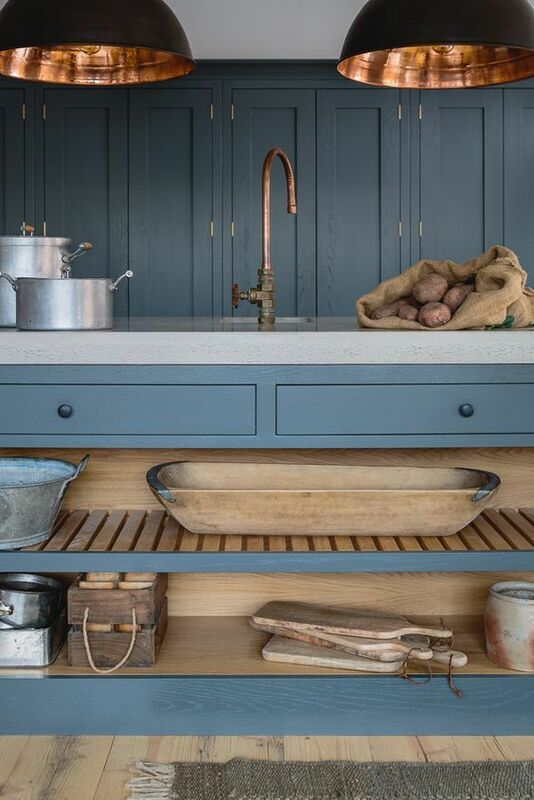 Its muted tone lends itself to almost any interior and style – meaning most colours will work wonderfully to create a statement contrast within the home. Our August Launches are also taking this trend well into their stride; with the release of our cushion and soft furnishing ranges last Friday, we’ve created a lovely selection of co-ordinating soft furnishings in blues, yellows and neutrals to help you on your way to creating your own style around the home. This formal, stormy vibe works perfectly by adding in teal bed sheets, deep borders and a minimalist look. In this snap, they’ve used a little extra blue to offer a fresh and calming vibe to the social hub of the home. Copper seems to work perfectly with these denimy shades, and adds a contemporary vibe to this typically rustic, country kitchen. 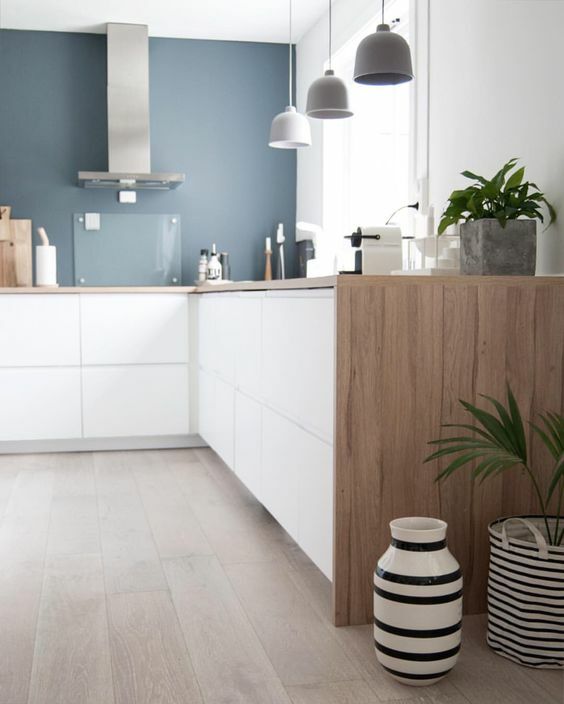 This super Scandi style kitchen show just how versatile the Denim Drift shade is – and it’s perfect for the kitchen or communal spaces in the room. Despite this being quite a deep shade, it just shows that it’s extremely easy to brighten up the shade with fresh and clean white lines. 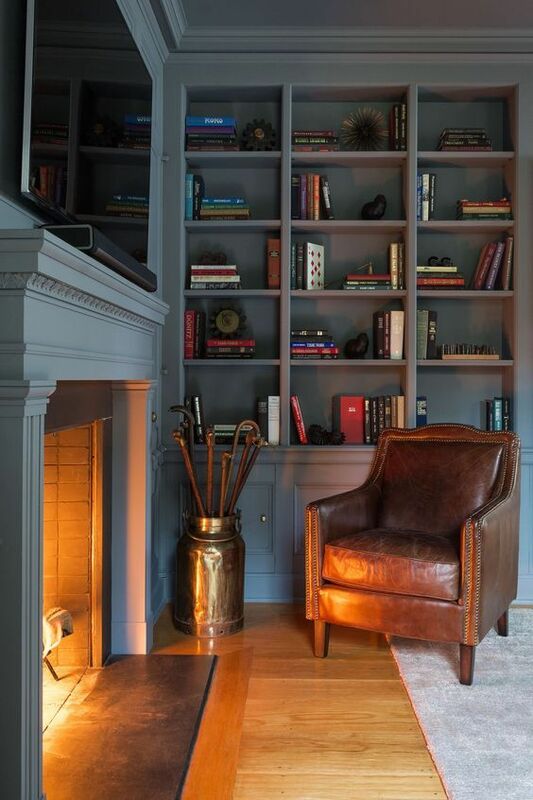 It’s a moody yet warming feel that is perfect for cosying up with a good book by the fire after a chilly Autumn walk. These crushed velvet dining chairs add a cool and chic feel to this pretty, coastal dining space. 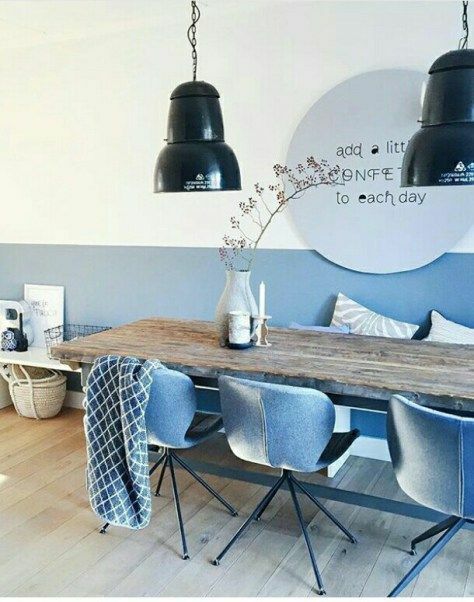 Using Denim Drift paint for half the wall is a great idea for creating a simple backdrop to family life, while not creating too much of a dark atmosphere. And who said you can’t use the trend in a totally different way? This extremely monotone style is brighten up by the sea-wave rug and co-ordinating sofa. 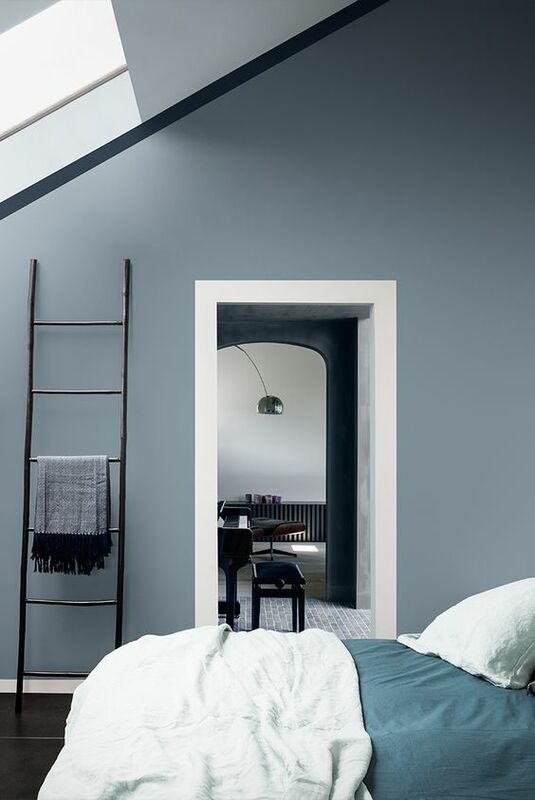 An alternate idea, if you’re not quite ready to fully commit to the trend, add a few key accessories to the space which are painted to compliment the grey shade. Colour velvet are definitely on the up, too. Okay, so this might be a bit more of a teal/blue, but we just had to show how perfectly retro and cool dark walls and tiles can be. 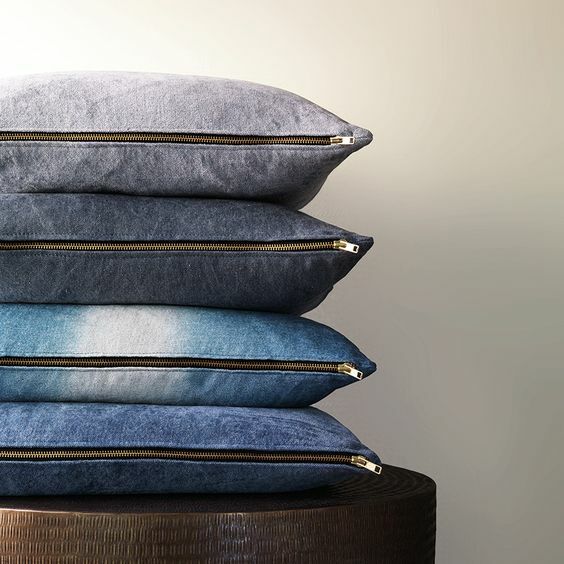 Cushions like our Petrol Blue scatter cushions (now online!) and varied textured soft furnishings are the easiest way to keep in touch with the latest trends – and can then be switched up at a moment’s notice. In a few weeks time, we’ll be transforming part of our furniture store into a Denim Drift dream, and will make sure to report the whole thing, to give you even more inspiration. So be sure to pop in and keep a lookout for the work being done.